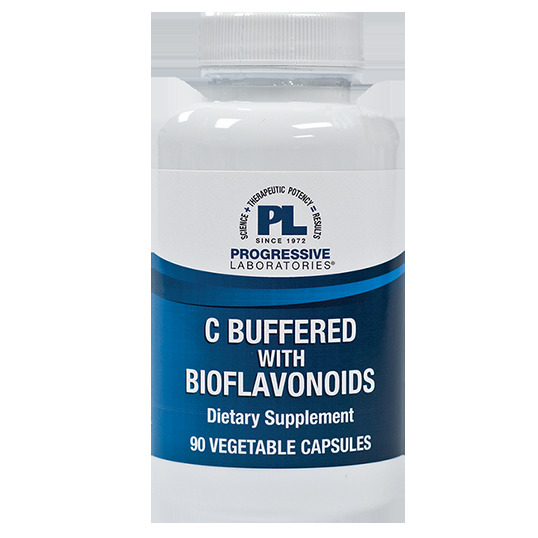 C-Buffered with Bioflavonoids offers a wide range of support for the human body. It is a potent antioxidant and free radical scavenger and supports the body’s defense system by enhancing white blood cell function and activity. It is essential for the formation and maintenance of intercellular ground substance and collagen. Vitamin C aids in the absorption of iron and the formation of red blood cells and converts folic acid to active folinic acid. It maintains healthy histamine release and supports lymphocyte formation. Vitamin C is also required for the synthesis of carnitine and steroids. rice flour, hydroxypropyl methylccellulose (vegetable capsule), I-leucine. Take one vegetable capsule daily, or more, as directed by a health care professional.